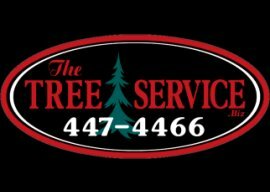 The Tree Service: What's Killing My Trees? Pine Borer Beetles are small brown beetles roughly 1/4 to 1/3 of an inch long. They inhabit trees and in are found in many locations around the world. They prefer live trees, but they can and will feed on freshly cut stands when available. 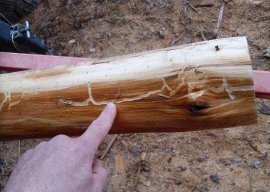 Pine borer beetles are one of the most destructive threats to pine trees. They are quick to reproduce, migrate, and eat, so once active in a stand, it is important to start dealing with them immediately to minimize casualties. 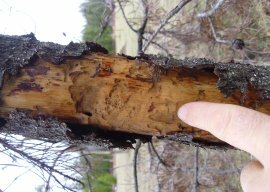 Pine borer beetles are attracted to pine trees by first smelling the tree sap. Though most trees will emit small amounts of sap naturally, trees which sustain injury due to man or nature are more likely to get beetle activity quicker. 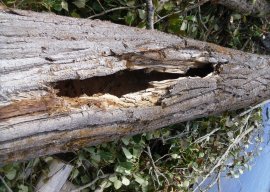 Pruning at unappropriate times (like the summer), mechanical damage by construction crews, lightning, drought, disease or insect damage are all things that can make a tree more susceptible to pine borer beetles. 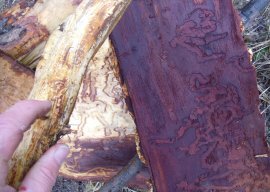 Once a flow of sap is more than normal, the odds that beetles will find the tree are increased. 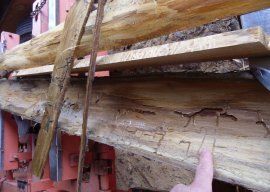 The control of pine bark beetles is really not a control as much as it is a preventive treatment. 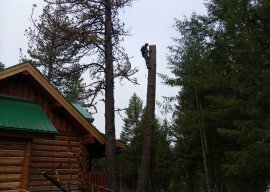 Trees which have activity are difficult to save. 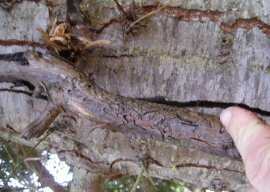 Once a tree is infested, the adults and larva are active behind the bark, which serves as protection from most pesticides. Secondly, rarely does anyone spot a tree with only a beetle or two. If you happen upon a tree which has only minor and beginning beetle activity, it can be saved. Fir Borer Beetles are dark brown to black with reddish wing covers, about 4.4 to 7 mm long. Adults lay their eggs parallel to the grain of inner bark. 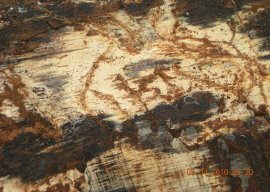 Reddish boring dust may be found in bark crevices or at the base of the tree. 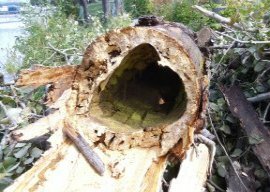 Adult beetles will often not attack the bottom portion of the bole, making identification difficult. Pitch tubes are not formed, but the tree may exude resin from upper attacks. Foliage of killed trees turns from green to pale yellow-green to red by the spring of the year following the attack. 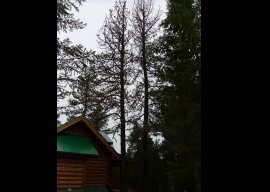 Red needles may remain on the tree for up to two years after an attack and aerial spotting of these "redtops" helps to determine the extent of an outbreak. Sometimes needles will drop without any discolouration. 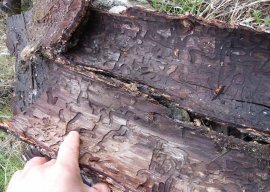 Douglas-fir beetles normally infest felled trees, mature damaged trees, logging debris, and trees stressed by drought. 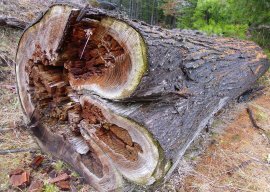 When sufficient host material is unavailable, however, they will attack and kill healthy trees, causing more extensive damage. 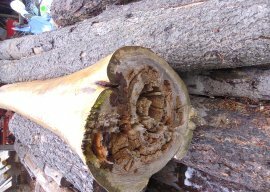 Trees are killed when the flow of food and water between the roots and needles is blocked by feeding larvae and by dead sapwood cells killed by the blue-stain fungi carried by the fir beetle adults.